The Entire City of Calumet City is classified as an Enterprise Zone and is pre-approved by the city council for interested developers. This is a very beneficial tool for developers, which includes exemption on sales tax of materials and waiving of city permits. 1) Cook County Property Tax Incentives Class 6(b), Class 6(c), Class 7(a)/Class 7(b) and Class 8 incentives lower property tax burdens for new and expanding businesses. For qualifying projects, rates can be lowered by more than 50 percent for up to 12 years. Class 6(b): Provides a reduced level of assessment to properties that are used primarily for industrial purposes where the owner has substantially rehabilitated an existing facility or reoccupied an abandoned one. The property receives a 16% assessment level for the first 10 years, 23% in the 11th year and 30% in the 12th year before returning to the full 36% industrial assessment level in the 13th year. This incentive is now renewable indefinitely. Class 6(c): Intended for contaminated or abandoned properties or contaminated vacant land that will be remediated and used for industrial purposes – the property receives a 16% assessment level for the first 10 years, 23% in year 11 and 30% in year 12, before returning to the full assessment level in year 13. Class 7: For commercial properties located in areas in need of commercial development – as with Class 6, the incentive extends to new or substantially rehabilitated facilities or to reoccupied abandoned properties. The property receives a 16% assessment level for the first 10 years, 23% in the 11th year and 30% in the 12th year, before returning to the full 38% assessment level for commercial properties in the 13th year. Class 7(a) and 7(b): Class 7(a) has a simpler application process and extends to commercial properties where the total development costs do not exceed $2 million. Class 7(b) has a somewhat lengthier application procedure and extends to properties where the total development costs exceed $2 million. 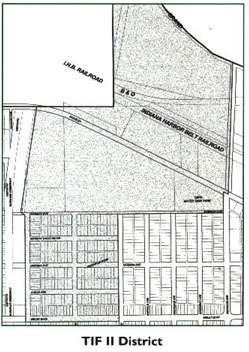 Class 8: For both commercial and industrial properties located in areas defined as severely blighted – municipalities apply to the County Assessor for Class 8 designation of the blighted area.Then, individual parcel owners within the area apply for sub Class 8 incentives as the properties develop. Class 8 provides a reduced level of assessment to properties where the owner has developed a new or substantially rehabilitated facility or has reoccupied an abandoned property. Qualifications and Restrictions: The Department of Community and Economic Development can pre-qualify projects. Ultimately, it is the Cook CountyAssessor’s Office that authorizes and makes the legal determination of whether projects qualify for real estate tax incentives. New Construction. The reduction applies to both land and facilities. Expansion of existing facilities. The reduction applies only to the expansion and the land under the expansion. 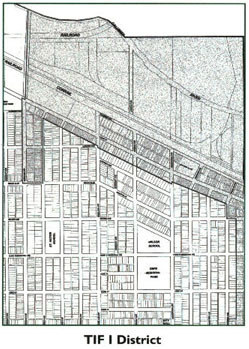 With vertical expansion, the reduction covers added square footage and a portion of the land. Substantial rehabilitation of existing facilities. The reduction applies to the added value of the rehabilitation, but not the land. Purchase and use of facilities that have been vacant for at least two years. The reduction applies to both land and facilities. This provision does not mean that a facility must be tax-delinquent to qualify, but only that the owner has not utilized it or has not leased it for 24 consecutive months.